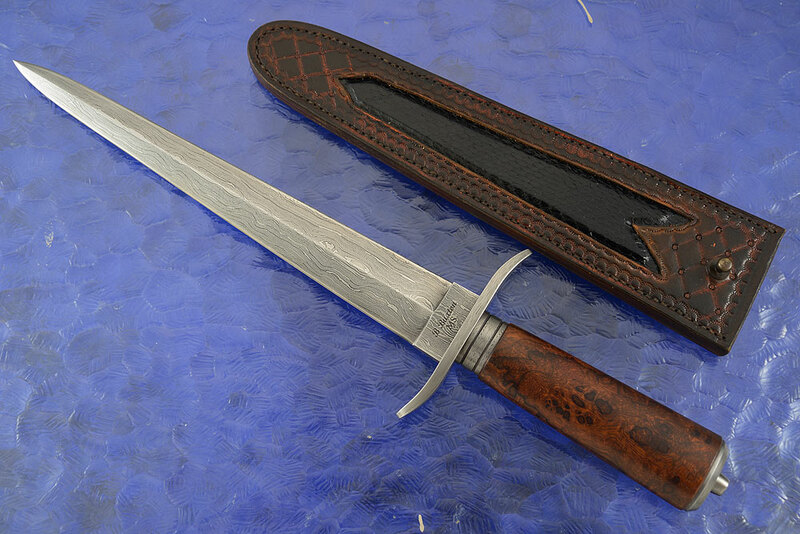 Description: Mastersmith Bill Buxton prides himself on making knives that are different from any others and this Arkansas Toothpick is a prime example. 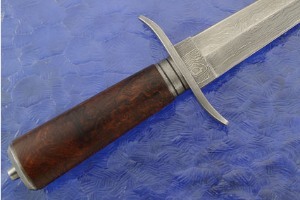 Bill's penchant for dramatic combinations and exacting standards have led him to become a most highly sought after maker in the collector world. 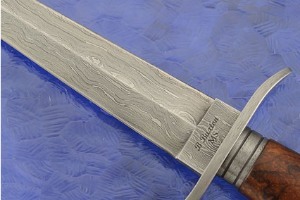 The damascus blade was forged to shape from 1080 and 15N20 carbon steels and is immediately eye catching. The combination of these steels results in a dramatic and highly contrasting pattern. 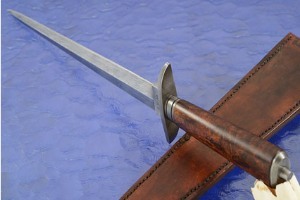 An S-guard, ferrule, and pommel were forged from the same damascus. 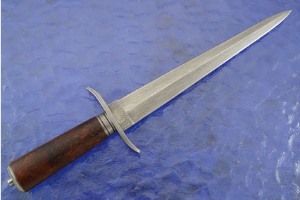 The presentation grade desert ironwood handle is particularly dramatic with warm tones and a nice mix of lights and darks. 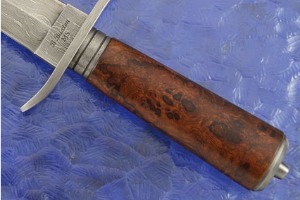 The pooling striations in the damascus pattern complement the swirling figure in the ironwood. A custom fit, hand-tooled leather sheath accompanies the knife. Black snakeskin inlay adds elegant beauty. 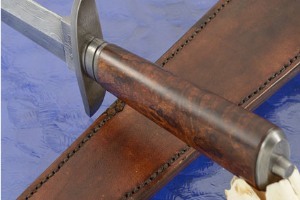 By combining these unique materials, Bill creates a knife that is truly one of a kind and sure to be a cherished treasure.